8. February 2012 update: Did the United States save the world from peak oil for now? After a few months of relative peace, in March 2005, when the original version of this article was written, the Peak Oil controversy was back. I personally first heard about the term "Peak Oil" in early 2004. It was hot topic back in those days. Some "researcher"/"activist" on a radio show was scaring the hell out of me by explaining that oil production was not going to be able to keep up with demand, probably within a decade. In reaction to that interview, I did a little research and concluded that this person, and others agreeing with him, were probably right. In the long run, however, I didn't give the Peak Oil subject much attention anymore. It's amazing how a good night's sleep can sooth one's mind. Some months after the interview, I noticed that more and more articles were coming out about this oil depletion problem. At the same time articles appeared that claimed Peak Oil was a "scam" and that there was plenty of oil, not just to keep us going for maybe 30, 40 or 50 years, but even forever, since it was speculated, oil was regenerating deep below the earth's crust and refilling the existing and sealed off oil fields. The debate about this, however, is so ridiculous and such obvious conspiracy disinformation that a chapter on this in a previous version of this article was removed in 2012. In this article the original and still primary case made will be made that oil production, regardless of the reason, has been rapidly declining all over the world. Fewer and fewer countries have to compensate for the much larger and continually growing pool of countries that are producing less oil each year. Russia, Saudi Arabia, Kazakhstan and China are some of the last remaining countries in the world that still have the ability to maintain or increase their (conventional) oil outputs - but this situation will end sooner or later. HOWEVER... on the upside, starting around 2012, at the very last moment, the United States all of a sudden started to produce huge amounts of unconventional, relatively expensive and relatively polluting shale oil. This - and only this - is what staved off Peak Oil. Considering not a single mainstream or alternative news outlet reported on this - at least not when this author first figured out the situation by going over endless oil production graphs - one is forced to conclude that elites have always been aware of Peak Oil, but probably on purpose waiting to take action until the very last moment, quite possibly in order to maximize oil profits. In this regard the "new left" "liberal CIA" network having such an obsession with attacking fracking and shale oil, without any regard for the bigger picture, makes the situation only more suspect. Peak Oil believers were right, but, once again, have been played by the superclass ruling the West. The basics of Peak Oil are sound. Who could have known that at the last moment shale oil, due to technological improvement, became profitable enough to extract? The silence on this issue is as deafening as some of the largest other conspiracies on Earth. From here, this article is mainly going back to the 2005 period. This images in this section unfortunately were the most high-resolution ones available. After reading a number of articles on abiotic oil, some doubt began to creep in: first I was told that enough oil would be around for 30, 40 or 50 years, then I was told that oil would peak within a few years, and finally I was told oil would last forever. Since I really wanted to know which claim was actually backed by some facts, I began to gather all the available information that had been supplied by the peak oil community and compared it to the official data as far as possible. I soon learned oil was declining all over the world and was quite amazed to see how discovery rates had been steadily dropping since 1964. One of the first surprises was seeing how the "magic" oil fields of the abiotic oil theorists hardly produced any oil at all. One of them, the Dnieper-Donets (gas) field in the Ukraine supposedly was developed through this abiotic oil-theory, but up to this day the Russians and Ukrainians have failed to show any evidence of their huge reserves or increased production rates. You can read all the details here. I personally thought the image above is enough to convince anyone that this theory does have some problems when put into practice. At the same page I just linked to, another field is discussed, located on Eugene Island. In the early nineties this field was declining, followed by a rise in production rate several years later. Abiotic oil theorists claim this is proof that the oil is coming from an inexhaustible source deep within the earth. However, it could easily be that through an earthquake or the drilling itself, oil from a small reservoir nearby seeped into the one that was being extracted. Since the earth's crust is constantly moving this isn't unlikely, especially not since a few years later production began to decline again. Then we have a pro-abiotic oil article by Joe Vialls. He depicts Communist Russia as the benefactor of the world (I'm not kidding, read the article), which opposes a Zionist/American conspiracy of greedy capitalists who are responsible for all the misery in the world (a little bit too much of a black and white view, if you ask me). I just re-read the article and what can I say about it? Ninety percent of the stuff Vialls mentions is not backed up with any sources. But of course he doesn't need to refer to any sources, since he's an "insider". At least, that's what he claims. According to Vialls, Colin Campbell (one of the first peak-oil experts) proclaims "idiot theories". However, in stark contrast to what Vialls does, Campbell gives a huge amount of data with everything he says. The couple of sources Vialls mentions are more or less unavailable to the general public. Examples are 'The Role of Methane in the Formation of Mineral Fuels (1967)', "more than two hundred Russian papers", his "cheerful Russian drillers and scientists...at Bodra #3" and the "Moscow Drilling Institute". At the very least he could have mentioned this site or this site, so people would have been able to read at least something for themselves without taking a course in Russian or having to fly to Moscow. One of the "facts" Vialls claims is that the Russians have been drilling about 310 super-deep oil wells in their own country since 1970. And this is the reason they are now, together with Saudi-Arabia, the largest oil producers in the world. The peak oil community (not to mention the regular oil community) does not agree with this view and as you can see in the image on the right, they show us why. I cannot confirm or deny the accuracy of the entire graph from ASPO, but as I will elaborate later, everything I could double check with official sources turned out to be correct. For a detailed analysis of Russia, you can check ASPO newsletter #31. Looking at the oil graph about Russia it seems production increases rapidly began to slow down in the early to mid eighties and decline was imminent. But from 1989 and on, the Soviet Union began to collapse and went into a terrible recession. In 1994 GDP was only half of what it was in 1989, inflation was way up into the three digit numbers, and by this time 70% of the economy had been privatized through Yeltsin's policies. Only after Putin came to power the economy and oil production began to rise again. But when we look at the historic discovery rate, it's likely that Russia will hit its second peak within years from now. Coincidentally, the oil production of Russia went into a serious decline for the first time in five years. Let's hope this decline is caused by the Yukos debacle. And if Russia indeed possesses an unlimited supply of oil, as Vialls suggests, then we will see continuous growth from now on. But why then did Russia's oil production increases began to slow down in the early eighties, when they supposedly were drilling these super-deep oil wells for over a decade? With an unlimited amount of cheap oil, Russia would likely have ended up on top of the world. According to Vialls, the Russians exported the abiotic oil drilling techniques, mainly in secret, to Vietnam, North-Korea, China and tried to bring it to India. Unfortunately, according to Vialls, in case of India, the evil Americans destroyed the project between the peace loving Russian government and the desperately helpless Indians (I am not exaggerating his viewpoint). It took some time to find, but on the left you can see the oil production rates of Vietnam, the last two years having been added by the author. Here you can find some very recent information on the exploration of the Vietnamese oil fields. Here you can find information on North-Korea, which actually doesn't have any oil fields. Vietnam's oil production fell back in 2002. That's interesting when you have an unlimited oil supply. Official estimates indicate production will fall back again in 2005 (update: it did, as it did in 2006), because the output in the Bach Ho and Su Tu Den fields is decreased to prolong their life. Why micro-manage if you possess fields that produce unlimited amounts of oil? 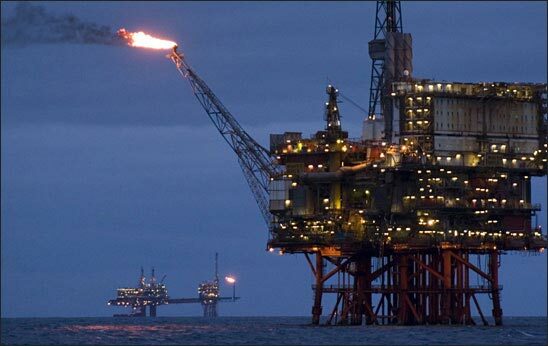 The proven reserves of Vietnam amount to 600 million barrels of crude. Today, oil consumption stands at 83 million barrels every day. You really wonder why a site like Oil Market Report doesn't even mention Vietnam in it's supply database? Vietnam and China argue with each other over who gets to own the potentially oil rich Paracel Islands. The same goes for the Spratly Islands. Why would you have these arguments if you can pump up an unlimited amount of oil from within your own borders? Many smaller oil companies are active in Vietnam. They come from Russia, France, England and the US. If the Russians can drill these inexhaustible oil wells, you'd expect all the other companies would be kicked out immediately. North-Korea still doesn't have any oil. They rely on hydropower, coal and only a little bit of imported oil. As expected, their economy is at a total standstill. So the question is, when will they start to benefit from Russia's abiotic oil drilling techniques? It's also highly doubtful that China has any abiotic oil fields, as Vialls claims. At this moment China is scouring the globe, looking for oil --its economy absolutely exploding. As far as I have read in the past year they have been or are negotiating with Russia, Iran, Colombia, Venezuela, Sudan and Canada for oil contracts. Several large deals have been struck with most of these countries, but China keeps on looking. China is also working to improve nuclear plants, coal plants (just like the US and other countries again), hydro-electric power sources, and anything else that might solve their energy problem. They are even experimenting with low power nuclear reactions (cold fusion). The Chinese wouldn't need to do all these things if they had an unlimited amount of oil right in their own backyard. In fact, China still has regular brownouts in some of its major cities in the east, even now the country has become the 6th largest oil producer in the world. As with Russia, in the next few years we will find out if these countries indeed have abiotic oil wells. Personally, I am quite confident this will turn out not to be the case. If we go back to Russia for a moment, something that surprised me was that Colin Campbell doesn't shy away from mentioning the connection between the Rothschilds, Khodorkovsky, the robber Barons and Israel (ASPO Newsletter #36), so the claim that he's acting on behalf of the oil cabal, as Vialls implies, is kind of hard to sustain. Personally, I see the opposite. At this moment, western companies and politicians are keeping the peak oil concept from reaching to the public, since a serious economic decline could follow when all the details appear on the front page of the largest newspapers. I believe the reason that some not-so-detailed articles (maybe 200 articles worldwide, which isn't that much at all) have appeared in the press is because it's not such an incredibly touchy subject to write on. If I were a journalist, I would be much more careful to write about, let's say, the holes in the 9/11 story, than I would be about writing on oil production and demand. It's an easier subject for most people to grasp, so automatically you'll see more journalists willing to write about it. But I'll bet that without the internet very few of us would have ever heard of the term "peak oil". Three of the first four graphs used in this article come from ASPO, just as all the production and discovery data. The problem is that I wanted this data confirmed via mainstream sources. Unfortunately, this proved to be only partially possible. In the regular media you might find the oil production of a country compared to the year before, but that's about it. It's very hard to find any information on long term developments. After a bit of searching I found a table in which the production data over the past 20 years from many countries was recorded It was buried somewhere on page 69 or so of a lengthy OECD rapport. I checked all the countries and although you will always see small deviations, 95% was dead on. The other 5% were only very minor deviations, which didn't make any difference to long term forecasts. Now, I have to say I have some trouble finding that pdf document now that I am writing this article 6 months later. As soon as I find it, I will put a link to it. If you want a reliable source of information on new discoveries, don't even bother searching them through official databases. I suggest you grab a copy of Petroleum Review. Chris Skrebowski, the editor, has recently joined ASPO and keeps a close look at all the discoveries made in the petroleum industry. For the total amount of discoveries in the past, the 2004 BP chart on the left does an excellent job in confirming the information ASPO has been giving for many years. See the problem? That gap between production and discovery is growing awfully fast. Another very important thing the left part of this BP chart shows, is that in the late eighties and early nineties the reserves of OPEC have been drastically increased, without any significant findings in the area that would explain such an increase. Isn't it a coincidence that during this time it was decided that OPEC countries could only export a certain amount of oil related to their reserves? The more reserves they had, the more they were allowed to export. So obviously they found a creative solution to their export restrictions. It's just ridiculous that these numbers have been accepted and presented to the public at face value. Probably to best source to verify the numbers ASPO has given are the always up-to-date supply charts of Oil Market Report. They go back the years at most, but that's more than enough to see if a country is in decline or not. Below you will find a summary, in which I'll try to show that a worldwide decline in oil production is really just around the corner. Most charts come from ASPO or people you'll see in the list on the right. Some other charts come from Oil Market Report, which, as usual, doesn't give any discovery rates, but production levels are consistent with those given by ASPO. Europe only recently crossed its peak in oil production. In 1999-2000 everything still seemed fine, but since 2002 production has steadily begun to fall. From 7.3 million barrels a day in 2000, Europe went to 5.9 million barrels a day in 2005 --a 19.2% decrease in just 5 years and about a 4% decrease in production every year. This decline began in 1999-2000 when the United Kingdom peaked and this rate is likely to increase in the coming years as Europe's other oil producing giant, Norway, will start to decline faster. On top of that, Denmark, a much smaller producer, but the only one who has been rapidly increasing its production rate, will probably start to decline too. And that will mean that every country in Europe is in decline. There are more oil producers in Europe besides those in the OECD, but Norway and the United Kingdom are by far the most important. Australia peaked in 2000 and its production rate is now declining faster than probably any other country in the world. It's going down at a staggering 11% a year. Indonesia is also declining at about 4% a year after a second peak in 1996. New Zealand peaked in 1997 and the subject is starting to be discussed in some of their political parties. Brunei peaked way back in 1977 and Malaysia will reach its peak somewhere in the following years, which means the whole region will be in decline soon. North America as a whole probably peaked in 1998, even though it has been climbing a bit since January 2001. Production in the Lower-48 states of America has been declining since 1972, Canada's regular oil peaked in 1973, Alaska peaked in 1987 and Mexico's production curve is nearly flat now, especially since 2003. The only increases in North America's oil production come from deepwater oil, which is estimated to peak somewhere around 2010, and Canada's massive amounts of tar sand, which could last for a few decades. Tarsands are very heavy on the environment and total production is likely not to exceed a meager 3 million barrels a day. So, I guess we can all agree that the western world's oil production has begun to decline like mad. That might not be such a problem as long as we can get our oil from other regions of the world. But can we? The following three graphs were put together in 1997 (no idea anymore from which site I got them). They seem to be quite accurate, but the exact year a region is going to peak is impossible to tell beforehand. It's also hard to get any numbers on declining continents, besides North-America, since there is usually no focus on individual continents. Official oil industry websites and the news media usually only focus on individual production data of a certain country or on OPEC/OECD production as a whole. South America and Central America have serious oil problems. Venezuela peaked in 1970, but is still producing a lot of oil. Trinidad peaked in 1978, Peru peaked in 1983, Argentina peaked in 1998, Colombia peaked in 1999 and Ecuador is about to peak. Chile has peaked a long time ago, has little reserves and is importing most it's oil. Suriname produces extremely little oil. Uruguay and Paraguay have no known reserves and I don't know about the reserves of Guyana and French Guiana, but at this moment they aren't producing anything. Regular land-based oil peaked in Brazil in 1997, but their deepwater oil will last to around 2012 and their total production rate might reach 2.5 Mb/d at that time. This makes them the most important oil producer in South-America, together with Venezuela. Bolivia is producing about 50.000 barrels a day and with a some investments they can become a reasonable oil producer, but they will not even come close to offsetting all the declining countries surrounding them. Central-America (besides Mexico) and the Caribbean only have very small amounts of oil. The most important countries in Africa in terms of oil production are Libya, Algeria, Nigeria and Angola. Libya peaked in 1970, but still produces about 1.5 Mb/d. Algeria will probably peak in the following years at about 1.5 Mb/d. Nigeria's regular oil probably peaked in 1977, but with their deepwater production, which is set to peak around 2009, they might reach a total production rate of about 3 Mb/d. Angola's land based oil is peaking at this moment, but deepwater production is likely to last up to around 2020. Total production at that time will probably be just below 2 Mb/d. Many smaller producers have already peaked: Tunisia in 1980, Cameroon in 1984, Benin in 1986, Ivory Coast in 1986, Egypt in 1995, Gabon in 1998. A country like Sudan might become an above average oil producer, but their total reserves are just a week's worth of oil for the world if produced all at once. Most other countries in Africa have even less reserves. As for Asia, China, Taiwan, Russia, Kazakhstan, India and in the immediate future Azerbaijan are the larger oil producers of this region. Of these countries China, Russia and India are expected to go into decline before 2010. Azerbaijan might last a few years longer and Kazakhstan will certainly last longer. There's very little info available on Taiwan. Vietnam and Thailand are modest producers and both don't have any major reserves. But I have no clear data on when these two countries are expected to go into decline. Vietnam might have already peaked in 2004 though. Japan hardly has any reserves, just as most other Asian countries not mentioned here. North and South-Korea have no oil at all. No graph from Asia has been included here, because I don't know which parts of Asia the maker of the graph (same style as the two above) included, or didn't include. It seems that all our hopes for a constant supply of oil after 2010 are settled on the Middle-East. In the Middle-East the following peaks already occurred: Turkmenistan in 1974, Dubai around 1990, Syria in 1995, Oman in 2001, and Qatar is about to peak. Officially, Iran peaked in 1974 and is expected to make a second, but lower peak around 2009. Kuwait also had it's official peak in the early 1970s and is expected to peak again around 2010. It's really tough to get a good estimate on the situation in Saudi- Arabia. It is true they have increased their oil supply quite a bit in the last year, but it is not often mentioned that this extra oil has a lot of sulphur in it, which worries people who were already speculating that Saudi-Arabia is having trouble with its largest (totally unique) oil fields. For more information on Saudi-Arabia or the giant oil fields in the Middle-East I'd rather refer you to Matthew Simmons. Either read one of these papers or look here for multiple interviews with him. One thing is for sure, if Saudi-Arabia goes into decline, the world goes with it. Rank Country Prod. barrels/day Peak prod. Rank Country Prod. barrels/day Peak prod. Total oil production from these 31 countries is 73.260.000 barrels per day. Total world production in the 4th quarter of 2004 is about 82.500.000 barrels per day, so this list accounts for 89% of the total world production. In the table on the right you can see that the majority of the countries will soon be in decline. Even at this moment, a minority of the countries is able to increase it's production with any significance. The realization that there are fewer and fewer countries in the world that can produce the ever increasing demand for oil is only one aspect of the problem. These countries with rising production numbers also need to compensate for the ever increasing loss of supply from countries that are already in decline. At this moment, early in 2005, all the declining countries in the world produce about 1.1 million barrels a day less, every year. (In fact, I just did a lookup and it's now definitely over 1.1 Mb/d) This means when world demand rises with a record 2.68 million barrels a day, like in 2004, the remaining non-peaked countries need to increase their supply with not just 2.68 million barrels that year, but with 3.78 million barrels just to compensate for the loss of production from all the peaked countries. Interestingly, depletion of natural resources is something economists never really seemed to have taken into account. "Project slippage", like demand, is rising exponentially. Only a few years back declining countries were only losing 0.2 million barrels each year in total. If the above data is available then how is it possible we hear on television that we still have oil for 20, 30 or even 50 years into the future? 1500 billion in reserves : depleted at 83 million barrels a day = about 50 years of oil. 1500 billion in reserves : average depletion at 120 million barrels a day = about 34 years of oil. Of course, these calculations do not take into account that there is a phenomenon called 'production peak'. The people who stand behind these estimates seem to suggest that oil extraction is exactly the same as emptying a glass of water through a straw --you won't notice the glass is running dry until you hit the bottom. This certainly isn't the case with oil and you constantly need to keep the pressure high, usually by pumping in seawater. This means the longer you are drilling out of a particular oil well, the higher the percentage of water is going to be you pump back up (water cut). The result is that effective production starts declining after a while. Improvements in technology like horizontal drilling can extract the oil in a much later phase of production, (and much faster) but it won't perform any miracles. The only thing that can offset a peak in world oil production is the fact that more oil needs to be discovered. The problem is that we don't find that much oil anymore, as you can see in the BP graph located several pages up in this article. Oil discovery in the past decades has been headed by the discovery of so called 'megafields', which accounted for about 80% of the total amount of oil found. Megafields are oil fields with a reserve of 500 million barrels or more and an estimated production capacity of more than 100.000 barrels a day. By today's standards it's hard to think of a field of 500 million barrels as 'mega', since the world consumes this amount of oil every 6 days. In 2003 we found exactly 0 (yes, z.e.r.o.) new megafields for the first time in about 80 years. As you can see on the left, the amount of these fields we found, was already declining for a number of years. These discoveries mean that in 4 to 6 years, almost no new projects are going to come online. That's the time that problems are likely to arise. From 2007 and on, it seems that very few projects will come online and on top of that, it is very likely that some of the great oil producing countries of today will be in decline by then. At the same time, demand will keep rising and rising, the greatest portion of that rise can be attributed to India, and especially China. Back then, they assumed world demand would rise about 1-1.5 Mb/d each year. Unfortunately, that number seems to have been well over 2 Mb/d in 2004. Back in Jan. of 2004 it was speculated we'd be well covered up to 2007, but if demand keeps rising like this that might not be the case. * Preliminary data given by Chris Skrebowski of Petroleum Review in an email in March 2005. It refers to an oil field of more than 500 million boe. Two new fields had been found of over 400 million boe, but officially these are no megafields. Info of years before 2000 were not available (even) to him. Back in 2005 it took a couple of weeks to gather the following numbers. Various updates have been made in subsequent years, the last ones on June 23, 2014. My guess is that most of you didn't know peak oil was such a common phenomenon. The thing is that most countries already experienced a peak in their oil production and are producing less each year. Most of these countries, but certainly not all, are relatively small producers and some of them barely produce anything at all these days. One of the most extreme examples is Israel, which produced only 80 barrels of oil a day in 2001. This means it will take them approximately 350 years of continuous production to reach the amount of oil Saudi-Arabia is pumping out in one day. In the end, all these countries with rising and declining oil productions via typical bell curves show that the science behind peak oil is very reliable. However, keep in mind that the exact moment a peak in oil production is going to occur is impossible to predict. It doesn't really matter that much whether the world peak is reached in 2007 or in 2011. The message is, that no matter what the reason is, oil will peak...and a lot sooner than we always thought it would. February 2012 update: Did the United States save the world from peak oil (for now)? I thought it would be interesting to see how many of the estimates/predictions in this article have become reality now, 7 years later. Samsam Bakhtiari, Chris Skrebowski of Petroleum Magazine and several other experts initially calculated in 2003 or 2004 that the worldwide peak in oil production would hit around 2007/2008. This peak has luckily been delayed due to a number of unexpected "major" oil discoveries that have come online since then. However, the "major" new oil discoveries aren't even a fraction of the size of the large Saudi Arabian oil fields and will only postpone the peak with a few years. In the mean time, even the IEA has acknowledged that conventional oil peaked in 2006. This means a large amount of new oil production that comes online is from deepwater, shale oil and tar sand sources. These are more expensive to extract and certainly in case of tar sands, very polluting. Looking at the data available at this point, it is clear that peak oil is not far off anymore. Many countries that I was unsure about in 2005, now clearly have reached their peak. Mexico, Denmark, Malaysia, Iran (second peak) and seemingly also Vietnam and Nigeria. Middle East countries as Qatar, Algeria and the United Arab Emirates can probably be also added to the countries that have peaked. Kuwait seems to be at its peak and Azerbaijan will not increase its oil production much in the coming years. Looking at the top 31 most important oil producing countries that have been listed earlier in this article, you're looking at an estimated 20 of these that have reached their peak and are producing less oil each year. To compare: in 2004 only 5 of these countries were in decline; in 2004 it were 13 countries. By 2014 this number, according to the original predictions made in this article, will have risen to 27. In other words, we are either on schedule or only slightly behind. Iran forced to switch to nuclear power. If Ahmadinejad fully cooperates with U.N. inspections and stops his provocative remarks, all should be fine, as the liberal establishment has already agreed to an Iranian nuclear program. Now Ahmadinejad only fuels the (neo)conservative agenda that calls for the bombing of his country. So, where did the extra oil come from between 2005 and today in February 2012? After all, in 2005 there was total supply/demand of around 84 million barrels per day (mb/d) which today has risen to just over 90. Let's take a look: Kuwait, Qatar and the United Arab Emirates are still around the same production levels as they were in 2005, so these countries did not relieve any pressure from the market. Azerbaijan, Kazakhstan, Turkmenistan, Oman, India, Brazil, Colombia and Canada show increases in production in this period ranging from 100,000 to 500,000 barrels per day. That is not much, especially not considering that North Sea oil production alone has dropped by 3 mb/d since that period, Mexico by 0,8 million barrels and Iran by 0,7 million barrels. Other historical oil "hot spots" as Venezuela and Nigeria saw their production decline by 0,4 million barrels since 2005. Many other countries declined with similar or somewhat lesser amounts. And that is still besides Libya, whose oil production of 1,6 mb/d completely collapsed throughout 2011 due to the war with NATO. So we're talking a necessary additional production of 7 mb/d by other countries to compensate for all the losses in production around the world, on top of a growing world demand of another 7 mb/d since that period. So where does all this oil come from? A quick scan reveals the five most important candidates: Russia, Saudi Arabia, the United States, Iraq and China. We have discussed several smaller countries, Russia, Saudi Arabia, the United States and Iraq when it comes to increases in world oil production. Taken together, these countries added just over 10 mb/d to worldwide oil production. Russia, which has overtaken Saudi Arabia as the world's largest oil producer, increased production by 1 mb/d since 2005, but is clearly leveling off its production and is expected to hit peak in the coming years. Saudi Arabia only increased its production by 0,4 mb/d since 2005. After a considerable drop in the years after 2005, it managed to increase its production by 1.9 mb/d since 2010, enough to offset the 1,6 mb/d drop in Libya the next year. However, it seems more and more obvious that the Saudi Arabian megafield are reaching peak production, even with the most modern drilling technologies. With that, the two mammoths of oil production - Russia and Saudi Arabia - are close to their peak. A considerably smaller producer, but responsible for a large percentage of the world's ever growing energy needs, China, added about 0,8 mb/d to the world's oil production in 2005. However, as predicted seven years ago in this article, China's peak in oil production is imminent. This was officially announced in December 2011 by its Ministry of Land and Resources. The country expects to reach a peak of 4.42 mb/d in the next few years, after which it will seemingly be able to maintain a production of 4 mb/d for the next 20 years. For now, it is very much the question if China will even reach this peak of 4,42 mb/d, because it has never exceeded its 4,3 mb/d record of December 2010. Production since then has been around 4 mb/d. By adding up production numbers in Russia, Saudi Arabia, China and a host of smaller countries we come around an increase in oil production of maybe 8-9 mb/d, enough to offset the losses in production around the world, but not enough to satisfy today's demand. Curiously, by far the most important candidate to explain why the world has not reached its peak yet is the United States. A country that has been in oil production decline for decades and was hitting brief production lows in 2005 and 2006 of around 5,5 and 6 mb/d, it managed to increase domestic oil production with a staggering 3 mb/d since 2005. With a production today of 8,5 mb/d, the country is coming very close again to its peak of almost 10 mb/d in the early 1970s. With no reported new oil reserves, how is this possible? As it turns out, the United States has begun extracting large amounts of shale oil, now that the technology has become available to extract this type of oil. With that, it seems that the United States has saved the world from peak oil, at least for the time being. No other country comes even close to having increased its production by this much. Since there are large amounts of shale oil deposits around the world, it is possible that rapid and large scale extraction of this type of oil can stave off the oil peak for another number of years. However, shale oil is more expensive to produce at this point, it is more polluting and it is possible that in practice the actual recoverable reserves are much lower than assumed at this point. More evidence that the United States has done everything in its power to stave off a worldwide oil peak can be glimpsed from Iraqi oil production. Iraq seems to be the only country in the world that is able to dramatically increase its oil output for the next 3 tot 5 years. The country was fluctuating around 2 mb/d pre and post 2003 invasion. But in January 2012 the country reached a production of 3 mb/d. The country is now expected to reach a peak in production between 2015 and 2020 of 5,5 mb/d. With Saddam Hussein gone and U.S.-trained troops, mercenary companies and drones protecting Iraq's oil pipelines, it's more than likely that this oil output will be reached. To summarize, this 7-year-old article seems to be quite accurate. Most countries that were expected to peak in this period, actually have peaked or are now widely suspected to peak in the coming years. It seems clear that the age of cheap, conventional oil will be over before 2020, when almost every country in the world is expected to have peaked, including giants as Russia and Saudi Arabia. In 2012, countries as Iraq and Libya will add another 2,5-3 mb/d of conventional oil to the market. But what other countries will be able to significantly increase their oil output? Hopefully Russia and China will be able to increase their output for a few more years, but even this is unlikely to be enough. The United States dramatically increasing its (unconventional, shale oil) oil production is a very welcome surprise and seems to have staved off peak oil for now. An additional welcome surprise is that the United States seems to have by far the largest shale oil reserves in the world, although significant deposits can also be found in Russia, the Congo, Brazil, China and various European countries. It's likely we will be seeing massive increases in the extraction of this type of oil around the world. In Canada the polluting tar sands will be developed further. At the same time it can be expected that we will see massive investment in coal plants and nuclear power, but also solar, wind and tidal energy. An increased reliance on natural gas will only be viable for a number of years, because this resource is also getting scarcer. However, it is unlikely that this switch to new energy sources will not impact the global economy for many years to come. It would be best, of course, if revolutionary new energy devices will be introduced. Think along the lines of Andrea Rossi's Energy Catalyzer or the Blacklight Power company. But even if this is the case and we actually find an energy source that is more practical than oil, it is important to note that as we head deeper into the 21th century, the world will also be dealing with dwindling mineral deposits (copper, iron, etc. ), overpopulation (especially in the third world), pollution, the spread of nuclear energy and weapons, deforestation, rising CO2 levels and increased chances of large-scale conflict as natural resources keep declining. But I would say, let's take it a day at the time and not get pessimistic. There's a solution to everything. ~ Joël van der Reijden, February 21, 2012. For the most up-to-date production numbers of the major oil producers, you need to be here. One of the best sources for getting production numbers from all the smaller countries. Sometimes you'll find here information on the oil industry of a particular country, that you won't find on the above sites. If you can't get the magazine, then read the monthly summaries. It focuses a lot on new discoveries and project slippage. A site that keeps track of geopolitical issues with a particular focus on the stock and energy market. 2012 update: Section deleted, because this is an abandoned theory. Explorations based on this theory failed to produce any oil. These are confirmed and alleged energy alternatives to the commonly known solar, wind, hydroelectric and tidal energy. Allegedly developed a chemical that makes it profitable to split water into oxygen and hydrogen. They seem to be onto something, based on the influential people who have been involved in the company over the years. However, not much seems to have changed over the years and little to nothing is reported on the company. Also allegedly developed a chemical that makes it profitable to split water into oxygen and hydrogen. Similar to Blacklight Power. Former CIA director John Deutch has been overseeing the project since it received major financing. Seems very promising, but we will have to wait for the details in the coming years. A new type of non-polluting and highly efficient form of nuclear energy. It's being developed by Lightbridge, formerly known as Thorium Power, and persons as Susan Eisenhower, Sir Ronald Grierson, Lord Guthie and Michael Howard on the board - the elite of the elite. Quite possibly the most important future energy of all, helium 3, to be used for nuclear fusion, seems to be largely ignored for now. The Moon has enormous supplies of this fuel, right at the surface. It is suspected that primarily China is quietly taking the lead in obtaining this type of fuel. The Bloom Box fuel cell is another very interesting - yet less revolutionary - energy generation device, which has already been put to use by major Fortune 500 companies. Colin Powell joined the company's board.